Contents: A. Brief, J. Walsh, Series Editors' Foreword. Preface. The Foundations for the Work. The Founders' Vision and Design for the NFDC. An Exciting and Sometimes Difficult Beginning. The NFDC Begins to Implement Its Initiatives. A Year of Challenges. Trembling on the Edge. Dispersing Energies. A Role for the NFDC. The Vision Dims. The Triangle Model of Change Agent Group Dynamics: Evolving Identity, Actions, and Stakeholder Relationships in a Change Agent Group Setting. D.R. Wood, Implications of the NFDC's Work for Educational Policy. The Story Ends. "This book is a remarkable achievement...it is an exceptional piece of longitudinal ethnographic research....another strength of the book lies in its rounded organizational and writing style, with an excellent balance between narrative description and theory....All in all, this is a superb piece of work: an exemplar of careful and sensitive ethnographic work that makes a significant contribution to organization studies." 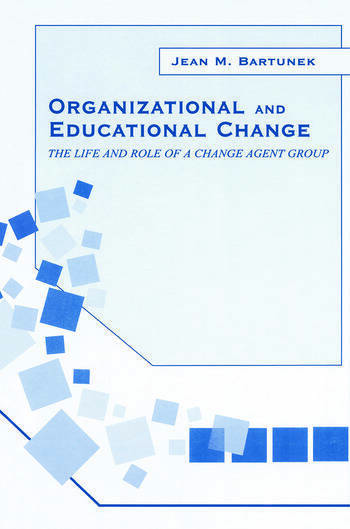 "This superb book is essential reading for anyone interested in the formation and maintenance of organizational identity and in the attempt to create and manage change." "What a rare and wonderful account of a group creating organizational innovation! Using her triangular method of analysis, Jean Bartunek provides a vivid understanding of the life of this group over time. So many are searching for better paths to organizational change. This book offers a valuable base on which to build." "The work is excellently researched, well documented and theoretically focused on important topics to the field."